Go out and cry mutiny! During my freshman year of college, I developed an overwhelming and unrealistic crush on young Orson Welles. He’d died in 1985 at the age of 70 (I was four), but that didn’t matter. At 18, I lusted after his long takes, swooned over his severe angles, and eagerly awaited his shadow play and deep focus shots. He was a genius confident and cocky enough to appreciate his own genius. And he had a nice radio voice, which he used to play a prank on the good people of the United States with his radio broadcast of War of the Worlds. I spent so much time in the Music and Media Library watching Welles movies, they hired me to work there. I was particularly interested in Welles’ Othello, which represented the Wellesian trait I admired most: he was so intent on making his art, that he would do just about anything to realize his visions. And Othello was doomed from the beginning. The producer ran out of money. The scenes were fragmented. The filming locations weren’t always consistent. In some cases, he couldn’t afford actors that spoke English. Indeed, the film is flawed and ego-centric; it’s not my favorite version of Othello, mostly because in it Welles does what Welles does best – focus on himself rather than the narrative. Race is almost a non-issue in this version and the writing is certainly not Shakespeare’s. But, Welles finished the film. He redubbed a good chunk of the movie himself. He filmed scenes where and when he could over the course of three years and several countries. And then it won the Palm d’Or in 1952. I spent a large chunk of last spring thinking about Othello. I saw the Peter Sellars’ version of the play at the Skirball Center at NYU and while I appreciated Phillip Seymour Hoffman’s villainy, I found the conception of the play confusing and distorted when compared with the original. And, like Welles, Sellars’ basically ignored race. Last summer, I taught the play to my literature students at Medgar Evers, which was really fun and prompted me to watch just about every version of the film that exists. In the middle of studying the Moor of Africa with my students, Fulbright called and invited me to move to Morocco. You know, the original home of the Moors? El Jadida, my new hometown, is where Welles’ filmed most of Othello. That opening scene up there? Those are the walls of our fair Portuguese city. From the jetty, you can see the spot where the imprisoned Iago gets dropped into the bay. 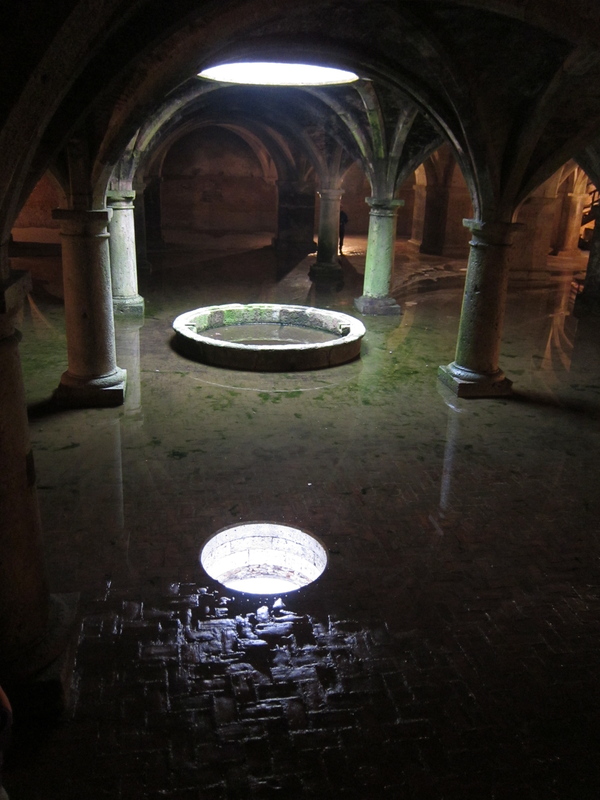 Indeed, visiting the cistern today is a magical experience, from the soft lighting, to the ancient arches, to the thin layer of water that covers most of the brick floor. When I go in there, my imagination spins into hyperdrive. I think about the past – it was constructed in the 1650s after all – and I think about what happens next: how will future generations use this place? Will there come a time when there’s so little fresh water that the inhabitants of Jadida will use the cistern for its original purpose again? Will they laugh about the years that movies were filmed inside its walls and tourists came simply to look at the well? But mostly when I’m inside the cistern, I think about how happy accidents can add up in one person’s life: an 18 year-old-girl sits on wooden chair in Atlanta watching the walls of a city where she will live ten years later on a tiny television. People often ask me how I chose Morocco. I tell them I didn’t. Morocco picked me. (hi friends, I’m a little behind on updating my blog. But! I’m back!). In Lyon, I wore a short skirt with bare legs and pretended I was back in New York. Signs across France proclaimed le Beaujolais Nouveau Est Arrivé!, and to compliment our dinner of squid, foie gras, and scallops, my friend and I drank cocktails mixed with the new wine. Then we ordered a bottle, and after that we went to one of the boats on the River Rhone for another pot. 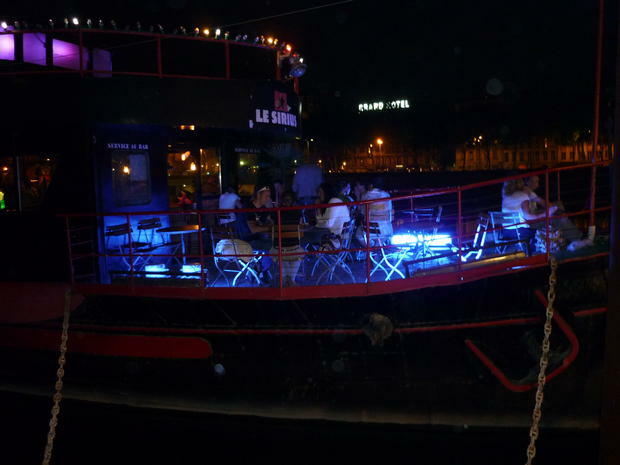 The floating bar was filled with women and men mingling, the first time I’d been in a mixed crowd where alcohol was flowing freely in a long time. I felt scared. I felt silly. My friend reminded me that I’d only been away from America for 3 months. Still, I found myself wrapping my scarf around my neck and wishing I’d worn tights. We navigated our way through conversations in French, and I realized I couldn’t speak La Langue without bits of Arabic. Luckily, we’d found North Africans to keep us company: an Algerian and a Tunisian, who, although having grown up entirely in France, knew what I meant when I accidentally said chwiya or bzaf in the middle of a sentence. 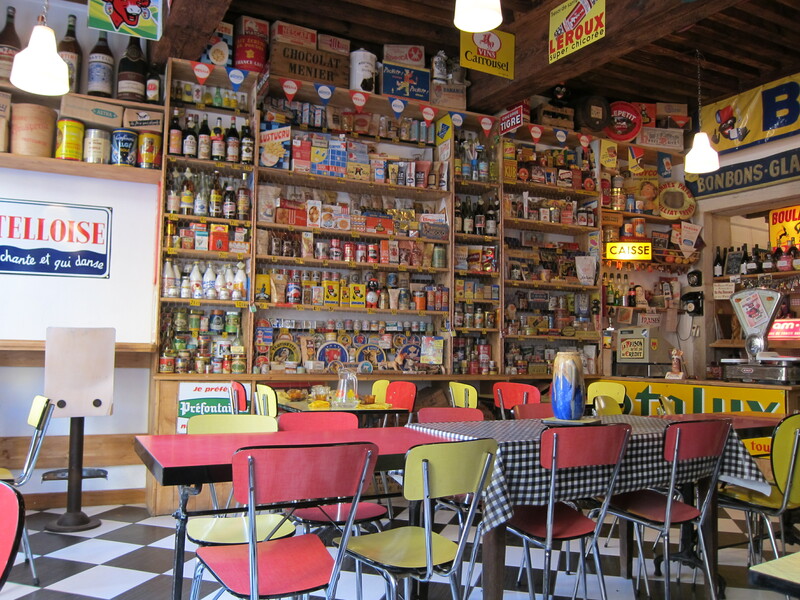 The morning after the Beaujolais Nouveau release, we ate breakfast at a cute café facing a church in the old part of Lyon. We had headaches for hangovers, because Beaujolais Nouveau is actually a cheap red wine after all. Our waiter, an older man who owned the place, wanted us to drink wine with our breakfast. Even when we politely declined, he insisted. We devoured omelets with figs and goat cheese and decided to stick to our abstinence at least until after our first cup of coffee. Over the owner’s shoulder, I noticed a row of Lavache Qui Rit; I thought about Morocco. While the laughing cow’s spreadable cheese is everywhere, in my town you’ll only see alcohol at hotels, or in Italian restaurants. There are a few bars, but I wouldn’t dare go into them by myself. Don’t get me wrong – Morocco has a booming wine industry based out of Meknes – but you’re not likely to see folks openly sipping the sauce with their breakfast like I did in France. After days of eating and drinking our way through Lyon, we decided to check out the Saturday Farmer’s Market in Croix-Rousse. 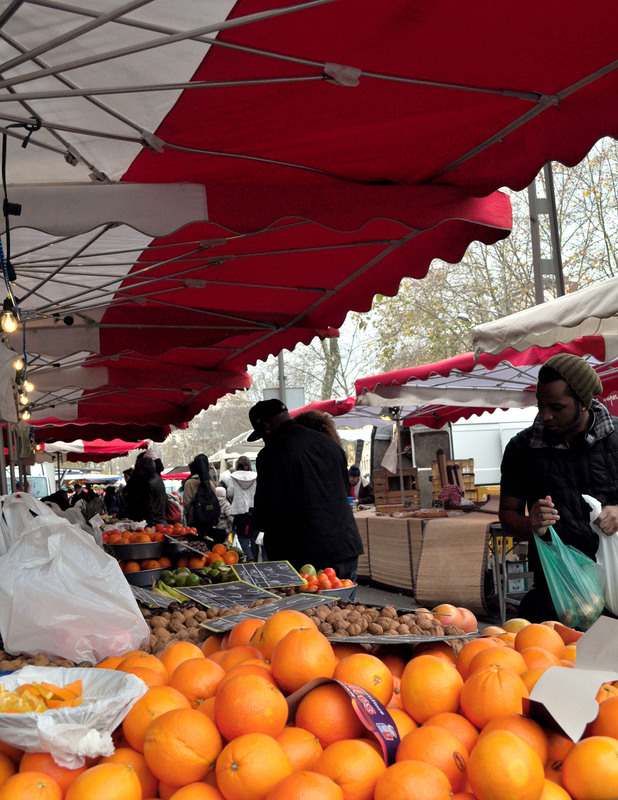 It was the most beautiful market I’ve ever seen – towers of aubergine, fromage so fresh it was painful, accordion players giving a musical voice to any cliché you’ve ever wanted to believe about France. We got a baguette, ham, and figs and made our breakfast on a park bench. There was a pre-winter chill in the air; I hadn’t felt so cold in months. When we finished we went searching for roasted chestnuts and vin chaud, and decided instead to get cozy inside a café with a pot of Côtes du Rhône. When we returned to Paris that night, I was delighted to find our cab driver was a Moroccan from Oujda. We spoke a French/Darija mixture and I was so happy to communicate a little more freely than I had most of the week. My Arabic is surprisingly better than my French, especially when giving taxi directions. Still, meeting this transplanted Moroccan served only as proof that my petite vacation was coming to an end.